So when I received this letter from 18-year-old Edwin in Uganda today, I was touched to see my own familiar closing. Edwin writes in English, and often shares many interesting details of his life. In this letter, I learned that Edwin’s grandparents celebrated “Golden Jubilee” in August, which was their 50th wedding anniversary. A church service including all the grandchildren was part of the celebration, and Edwin composed a song on a keyboard and sang it at his grandparents’ party. Edwin also let me know that Manchester United is his favorite soccer team, and he listed some of his favorite players. This young man is serious about his studies, and always asks for prayers that he do well in school. I look forward to seeing where God leads him in the future and am thankful to know him. If you are interested in sponsoring a child in Uganda, please click here and enter Uganda in the search window. There isn’t much that delights me more as a sponsor than receiving a letter from one of my faraway sponsored children. Today, though, I think I found something that tops even that. My 12-year-old son, Logan, became a sponsor earlier this year. I wrote about it here. 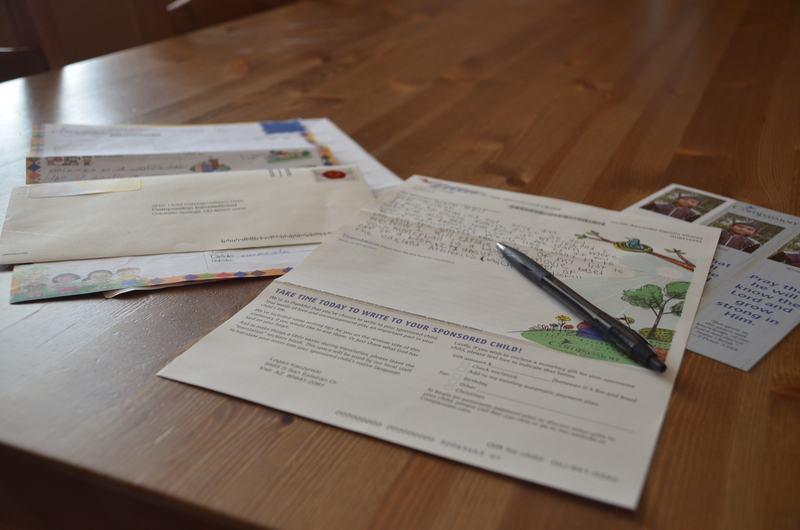 Since February, Logan and the boy he sponsors, Osmar, have exchanged several letters. Logan was excited to receive another letter from Osmar today. As usual, he opened the letter quickly to see what his friend in Guatemala had to say, then he handed the letter to me, so I could read it, too. I greet you in the name of the Lord Jesus Christ hoping that you are in great health. The weather is rainy. I want to tell you that in my town, we harvest corn, potatoes and beans. We have a lot of things in my town. I love you. I ask you to pray for everyone in my town and for my family. We are going to finish the school year. I am going to pray for you. I thank you for the letter that you sent me. I love you. What is my favorite sport? Soccer. What’s the weather like over there? I say goodbye with love and hugs. I hope that God continues blessing you and your family, and that he gives you blessings because you are my sponsor. Thank you. Yes, this sweet 11-year-old boy in Guatemala just told my son “I love you” – twice. And that is why, in this month of thanks, I am thankful for love in letters. Nine-year-old boys the world over tend to share similar tidbits in their letters. Almost three years into sponsoring, I’ve found most boys around that age write about games, friends and pets, which are the same themes my own sons would choose. Humberto is a 9-year-old boy in Bolivia, and he and I have been sending letters back and forth for two-and-a-half years now. He was almost 7 years old when we started writing to each other, and being so young, he generally shares one or two details in each letter, often repeating those details several times over many letters. Over the years I’ve been able to create a picture of this faraway boy in my mind. Humberto is one of the younger siblings in a family with eight children. He most recently became a big brother again last year, and asked me to pray for his baby brother just before the baby’s birth. He tells me he loves to draw. Actually, he tells me that in almost every letter. He also loves to play with his friends. His most recent letter held an unexpected gem, though. Humberto wrote, “I want you to know my dog.” And tucked into the letter was a photo of Humberto and his dog! His adorable way of writing that made me laugh, but to see that photo of Humberto and his dog was quite a treat. I’ve never received an extra photo of Humberto, so I’ve only seen his growth progress through Compassion’s usual photo updates, which occur every 18-24 months. Now that I know Humberto’s dog, we’ll have plenty to cover in our letters for years to come. I’ve Sponsored a Child…Now What? 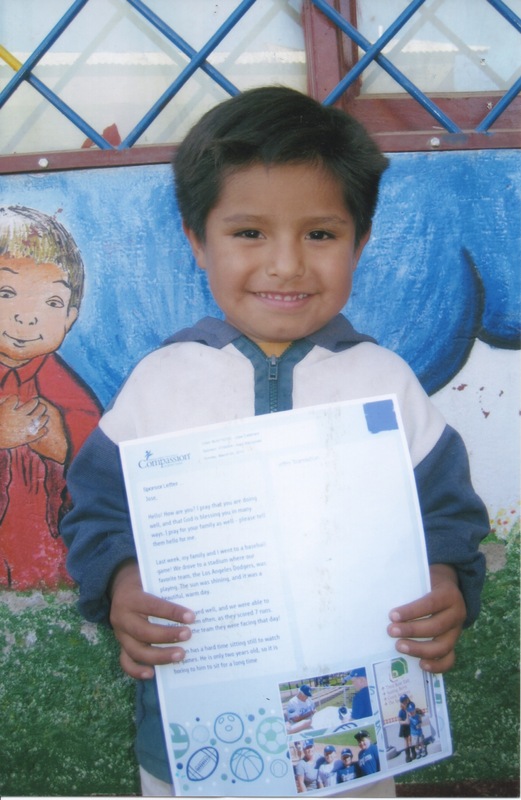 My sweet Jose from Bolivia holding an online letter from me. 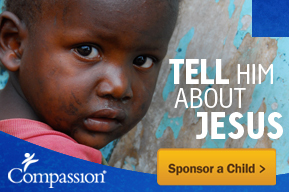 You’ve searched your heart, made your decision, chosen a child, and now you are a sponsor. Often you will find that you are filled with enthusiasm for this new experience and a strong desire to begin a relationship with your child. However, that first letter from your child can take anywhere from one to several months to arrive in your mailbox. While waiting for that letter, it seems your first lesson as a sponsor is patience. But there are lots of things you can do in the meantime. After sponsoring my first child, I created an online account at http://www.compassion.com. You can do this by using your e-mail address or your sponsor ID number if you know it. Sometimes it can take a few days for your information to be entered into the system for the first time, allowing you to create your account. Once you have your account, your child’s photo and information will be posted there. This means you can begin writing online letters to your child. When using the online letter-writing tool, you get to choose a template from many different themes, write a letter and include up to three digital photos of your own. When you click the send button, your letter goes to Compassion’s headquarters in Colorado. There it will be printed onto quality paper and sent to your child’s country office, where it will be translated and delivered to your child. After sending an online letter, the next thing I always do is to send an e-mail to Compassion requesting a digital copy of my child’s photo. 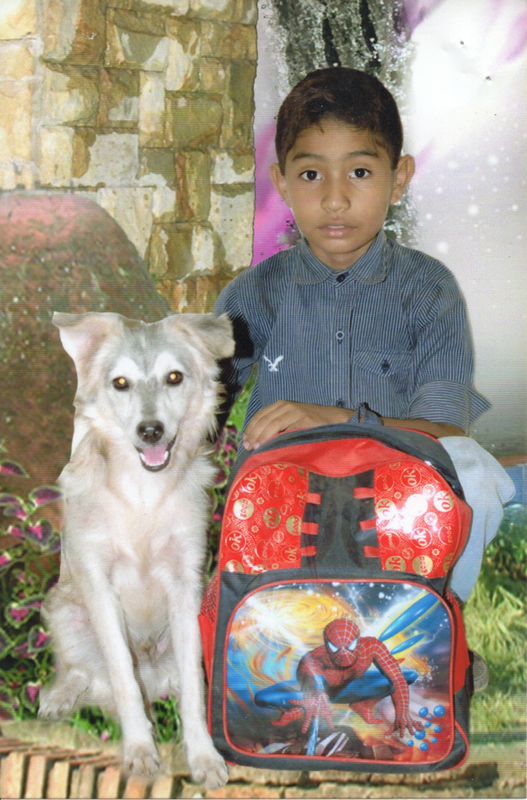 Children’s photos are updated every 18-24 months, and Compassion keeps the current photo and one previous photo on file. You can ask for both! This is fun because it allows you to see how your child has grown over the past two years, and having a digital copy gives you the ability to make hard copies of the photo. I always make a few copies of the child’s photos and mail the copies to the child. Families enjoy having photos of their children! Another fun thing to do with the digital photos is to upload them to a free photo-editing web site. There are many to choose from online. Here you can add fun borders, images and text to your child’s photo, save the new photo to your computer and make a copy to send to your child. While you’re making all these copies of photos, be sure to copy some of your own photos as well to mail to your child. Children love to get a peek into your life. They want to see you and your family, friends and pets. In addition to photos, you can also send things like stickers, coloring pages and bookmarks to your child. Check Compassion’s web site for a full list of items to send and size requirements. Children love to receive these things on letter day. You’ll want to label anything you send to your child. I print out the following information onto address labels so it’s easy to label anything I send: child’s name, child’s ID number, sponsor’s name and sponsor’s ID number. I keep a sheet of these labels for each child I sponsor in a folder so they are handy when I need them. Remember, you can begin sending letters, either online or handwritten, you your child right away, and your letters mean a lot to your child. Soon after I opened my account on Compassion’s web site, I stumbled across another web site that has proven invaluable. It’s called Our Compassion, http://www.ourcompassion.org, and it’s a community of involved sponsors who have a wealth of information and stories to share. I recommend spending some time on there learning about sponsorship. Finally, there are two more web sites to fill your time learning about sponsorship, sponsored children and your child’s country. One is the Compassion blog (www.blog.comopassion.com), where stories are posted almost daily covering many Compassion topics. The other is the Compassion bloggers page (www.compassionbloggers.com). Here you can read many blog posts from past blogger trips. These stories are always touching, personal and well-written and provide a unique look into the lives of the children, families and communities where Compassion works. These things just might keep you busy until you receive that much-anticipated first letter.